The Snohomish County Horticulture Program teaches research-based, ecologically sound gardening practices. Our mission is to provide access to research-based information and encourage its application by individuals, communities and horticulture professionals to promote human well being, protect and enhance our environment and foster community stewardship. 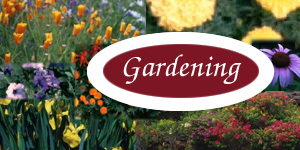 WSU Trained Master Gardeners are on duty to answer home gardening questions by phone and at the Extension Office 9 a.m. to 4 p.m., weekdays, April thru September; 11 a.m. to 3 p.m. Monday thru Thursday, October thru March; except holidays, the week of Thanksgiving and the last two weeks of December. Preserving water quantity through wise management choices.